Wouldn’t you pity someone who invested in the Taurus Discovery Fund 10 years ago? It has been the worst-performing equity fund since January 2001, moving lethargically when other equity funds have whizzed past and created wealth for investors. Well, save your pity for those who chose not to invest in equities 10 years ago. Despite being the worst-performing equity fund in the past 10 years, Taurus Discovery has churned out 8.99% returns, which is higher than what a debt instrument would have earned during the same period. The difference becomes stark when we look at SIP returns. The 10-year SIP returns of Taurus Discovery are over 15% (see table), much higher than what a debt instrument can offer. We looked at 10-year SIP returns of equity funds during different time frames and found that except for one instance, even the worst-performing equity fund had given significantly higher returns than monthly investments in debt options (fixed deposits, NSCs, PPF). Most investors already know that in the long term, equities have the potential to churn out the best returns among all asset classes. But many don’t realise that in the long run, SIP investments work best for them. “SIPs are an excellent tool for investors starting off in the age group 21-35 years as that is a wealth creation period,” says Partha Iyengar, founder, Accretus Solutions. 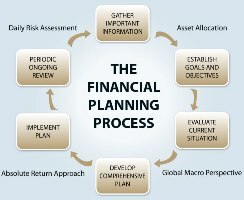 During the early phase, individuals do not have too much to invest. For them, SIP is the best way to build an equity portfolio. Reliance Growth has given the highest SIP returns in the past 10 years. 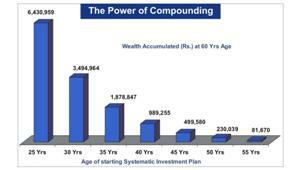 A monthly investment of Rs 1,000 started in January 2001 is now worth Rs 13.15 lakh, an annualised return of 38.17%. To see how SIPs work over different market cycles, we also looked at 10-year SIP returns at the end of 2008 and 2009. The results were not surprising. SIPs do work across market cycles as well, which means that a systematic investor need not worry about missing the bus or catching the tide. SIP is an all-time product. It scores over a lump-sum investment since you invest irrespective of the market condition,” says Sankaran Naren, Chief Investment Officer, Equities, ICICI Prudential Mutual Fund. In other words, you can never go wrong while investing in equities if the method you choose is right. As our research shows, long-term SIP returns of equity funds have always been higher than those of debt instruments. This may not have been possible if the investments were made in lump sum. What is important, however, is to keep an SIP running over the long term and especially during downturns. There is no point in running an SIP for only a year or stopping it when the market tanks. “We recommend investors to do SIPs in diversified equity funds for long periods of time, typically more than five years,” says Vishal Dhawan, founder, Plan Ahead Wealth Advisors. Another mistake which most small investors make is close their SIPs when markets fall. “Stopping SIPs in bad market conditions defeats the very purpose of systematic investing,” says Anup Bhaiya, MD and CEO, Money Honey Financial Services. SIPs have evolved significantly since they were first introduced by mutual fund houses more than a decade ago. Now you can have SIPs in different intervals (daily, monthly, fortnightly or quarterly). The minimum amount of the SIP has also come down to Rs 500. But one basic feature of the SIP remains unchanged: For the small investor, it remains the best way to invest in equities for the long term.